If you prefer your artisinal baked goods to be totally terrifying than pretty, Annabel de Vetten’s Conjurer’s Kitchen cakes are for you. 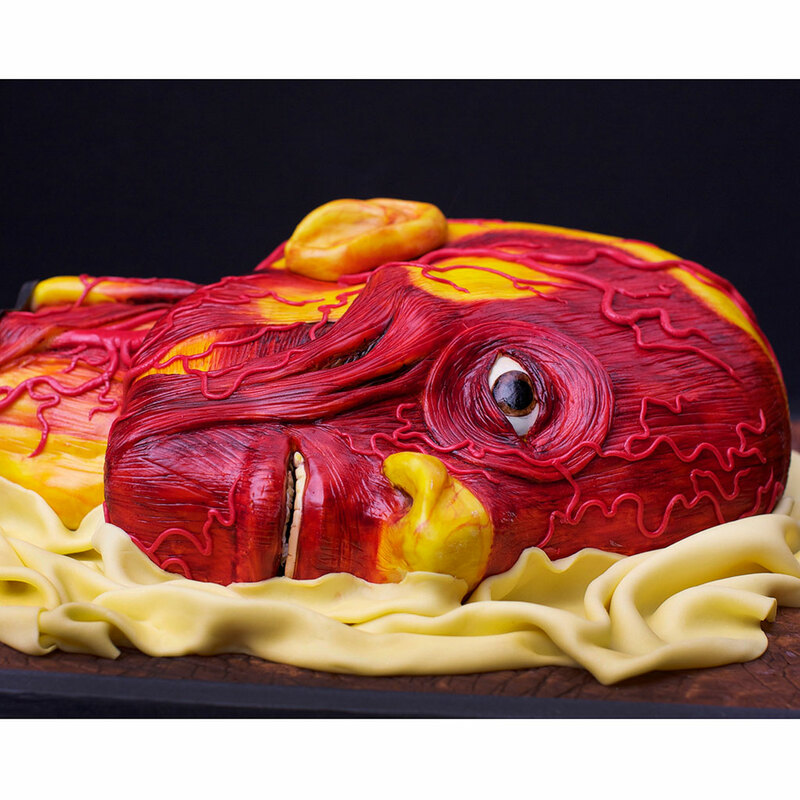 Resembling skulls, animal carcasses, coffins, even peeling human flesh, these cakes are impeccably crafted and creepy. De Vetten totally gets the sickly appeal of her work. As she told Vice, “It really messes with people's heads. I've watched people eat fingers and they have this look in their faces—Oh, I should hate this but I love it. They just feel really naughty.” From wedding cakes that wouldn’t look out of place in a Tim Burton movie to smaller works of ghastly patisserie, de Vetten is constantly churning out new horrors. There are limits to what she’ll portray, though: while de Vetten will go as gory as possible, she won’t make children’s cakes, she won’t portray genitalia and she absolutely won’t make cupcakes. That's right, no peeling human flesh cupcakes for you.